Welcome to my 5th annual review. 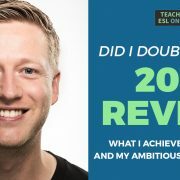 This is where I talk about what I achieved and learned in the previous year and outline my goals for the upcoming year. In 2014, I created a program for English learners. This started on WizIQ before I transferred it to my website. Although this program did well, I wanted to do something new; something that could sit beside my original course. 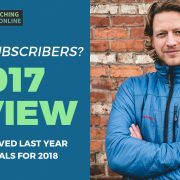 For the first two months, I brainstormed what my new product would be like, wrote several outlines, bought domain names, and started creating content. But then, I decided to do something else instead: to take the course I already had and upgrade it. The To Fluency Program, the course that I started in 2014, was heavy on theory. It showed learners how they could learn English. It went through two main methods that they could apply to their learning and how to commit to a long-term plan. Those who followed the course this saw great results. However, the majority refund requests focused on the lack of materials. They liked the method but wanted downloadable materials made for them. It was a big task but one that I felt was necessary at the time. It turned out to be a big success. The relaunch went to plan and the feedback I’ve received has been fantastic. After the relaunch, it was time to put my focus back on YouTube. MOVING HOUSE IS A BIG DEAL! Last summer, we moved house. This took over our lives for 2-3 months. I won’t go into detail, but we ran into several difficulties that took up large parts of my day leading up to the purchase. Packing is no joke. It takes hours and hours. Unpacking too. One day was spent taking down, transporting, and reassembling the trampoline. Our kids take up our mornings, evenings, and weekends. Therefore, the time I had to do all this was during work hours. So, for 2-3 months, I was averaging 10-15 hour workweeks. When this happens, it’s easy to lose a little motivation. I also got into cryptocurrencies at this time and found myself researching new coins instead of making videos. My YouTube channel took a dive over spring and summer. Here is a picture that shows this. Watchtime peaked in February but went down as I created my new course and moved house. I made quick videos because I felt like I had to get something out there. But I wasn’t excited about making these videos and it showed. The momentum I had earlier in the year died out. I didn’t panic, however. This had happened before. I’ve gone through periods where I wasn’t fully motivated. My mind was elsewhere. Once things with the house started settling down – and my son went back to school! – it all came back. With a vengeance! While I was brainstorming my course at the start of the year, I was killing the YouTube game. As you saw, watch time exploded. But with so much time spent on my new program – and with the hectic summer – I lost a lot of momentum. I looked at what I was doing and upped my game. I made my videos longer (great for watch time). I increased the quality. I kept users on YouTube by suggesting other videos instead of constantly talking about my book. I went through past videos and changed thumbnails to make them more clickable. In fact, one of the videos that got a facelift – a video I recorded in 2014 – has started to gain a lot of traction. The changes I made worked. I’m very close to getting back to the highs I achieved in February last year. We decided to spend the holidays in Manchester last year. Leading up to this, I was realistic about how much I could get done before, during, and after this vacation. I ended up getting sick and wasn’t able to do anything for 7 weeks. Again, I lost some momentum with my YouTube channel and in general. In the weeks leading up to going away, I recorded 8 videos so that I could release them gradually. This helped greatly and leads me to my first goal: to get ahead with videos. I’ve always shied away from this as I like to introduce continuity; to tell stories and create open loops. But having videos that I consistently post is more important. So, that’s goal number one. Before I talk about the rest of my goals, let’s change pace. I didn’t get much last year. The year before, I got new cameras, new software, the whole shebang. I got the background for my new course. I haven’t used it since. The microphone stand and tripod have been great. The new light too. I don’t know where the clip on mic is, though! I lost 27 lbs while gaining strength. The goal of reaching 50,000 email subscribers (for this brand) was pushed down the pecking order. This is more of a priority this year. Alright, time for the juicy bit. Instead of setting goals for the entire year, I am going to focus on the first three months. I’m aware that, as I post this, the first month has already gone. This only makes Parkinson’s Law stronger! Momentum with YouTube was lost because I wasn’t able to make new videos. Getting ahead will solve this issue. If I have to take time off work for whatever reason, I’ll have videos ready to go. By the end of March, I want to be six weeks ahead. I’ve seen other teachers do this and I want it too. I’m also going to be more consistent with this blog and YouTube channel. Once I reach this stage, I’ll be able to dedicate more time to other projects knowing that I have content ready to go. It will also take the pressure off if something happens. I want to offer something new to my English learners and to you guys (coming soon!). When I have started to do this in the past, a reason to not do it always cropped up. I’m sure you know what this feels like. It’s difficult to do something new. It’s uncomfortable. Whenever I get this feeling, I’m going to ask myself: what’s stopping me from doing this? Writing things down helps. Taking that first step does too. If you want to create videos, for example, create a short one and share it with a few people. Take things from there. Let’s all get out of our comfort zones. It’s where the magic happens. This is something I’ve already started. While sick in bed, I went through all my files and went on a delete spree. Everything is now organized and I’m going to stay on top of this. When I start a new project like making a new YouTube video, all the files (video, audio, artwork etc.) will be in one folder. Once the project is complete, I file it all away. It’s like I have an inbox for projects. It makes me focus on 1-2 projects at a time. I can also find what I need quickly because my files are all organized. There’s nothing in my download or desktop folder. I’m also going to get rid of anything that I don’t need (two bags of clothes are in the car ready to be donated). I’m embracing minimalism again. It feels good! Being sick means that you can’t work or spend time with your children. I want to be present while doing both. I’m going to do whatever it takes to be as healthy as possible. This is my number one priority. Without this, nothing else matters. Overall, I’m happy with how the year went. It’s easy to make excuses for things not working out. I could just say that I didn’t reach my goal of 200,000 subscribers because we moved house and for other reasons. I’m excited to get stuck into my goals and I’ll be sure to update you at the end of quarter one. What are your goals this year? What do you want to achieve? Welcome to the 4th annual yearly review! At the end of each year, I look back on what I’ve achieved, what I’ve learner, and then outline my goals for the upcoming year. I prefer to set goals that make me feel a little scared. Goals that push me and help me get out of my comfort zone. For example, I could have set out to double my email list, but instead, I chose a 400% increase. This is a theme that is going to drive me forward this year too. I look back on these goals on a regular basis to keep me on track. Writing them down and sharing them with thousands of online teachers helps me stay accountable. I’ll talk about these goals in depth soon but first, here are some of the highlights of the year. Back in spring, I set myself the challenge of making a video every day for my English learning channel (check it out here). I didn’t put a timescale on this. I just started making videos each day. The first few videos were really simple. But I soon started spent more time on them to make them look more professional. I did this because my (newly added) goal was to go all in on YouTube. I wanted to get as many subscribers as possible. I know that subscribers aren’t the be and end all of YouTube success. But it’s the best way to track your progress. I started the year out with 3,800 subscribers. I’ve now got 21,500+. 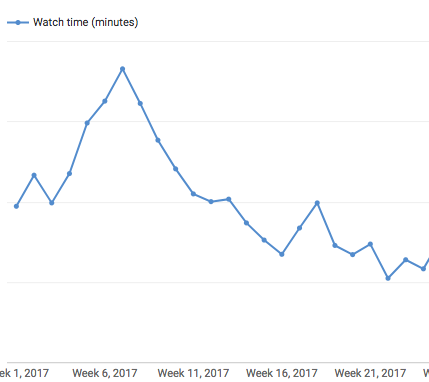 The peak in the middle was when I started making new videos every day. It tailed off when I had to cut back on video creation. It started rising again when I refocused and took specific actions to grow my subscriber base. YouTube is going to play a large part in 2017. 2016 was the year of live video. In April, Facebook opened up this feature to everyone. Since then, I’ve done over 60 live lessons on Facebook for this brand alone. I also go live 1-3 times per week on YouTube. I mainly do this through my Mirrorless (like a DSLR) camera by using an adapter, HDMI cables, and software. Live video is the ultimate procrastinator killer. When you’re making videos, it’s easy to put things off, reshoot, upload it later etc. With live video, you set a time and you have to do it there and then. The video embedded above was a last minute decision. It was 10:00 AM and I decided to go live at 12:00. In that time, I scheduled the live lesson, sent out an email, drove to my office, created the slides, and set everything up. I’m a big believer in setting deadlines (see here). And having hundreds of people waiting for you to start your live lesson is a strong deadline, let me tell you. The interaction in live lessons adds something too. You can ask questions, get feedback, and answer questions from your audience. And because your viewers know that you’re live, you can get away with the odd mistake ? In July, I signed a contract for an office in downtown Asheville. Trying to make videos with two loud dogs was difficult enough. Throw in a wife and a toddler at home on their summer vacation (and a new baby on the way), and well, you get the picture. Within a few days of deciding to do this, I had a brand new office. This has been one of the best investments I’ve made. It’s quiet, roomy, has some useful additions, and the internet speed is lightening fast. A 100 Mbs upload speed means that videos upload in 2-3 minutes and I can go live in 4k. There is a meeting room where I go to, well, meet people. There’s a balcony overlooking a busy part of downtown, and a little kitchenette where I make my mushroom coffee. I can see myself here for a long time. I’ve bought some new equipment this year. Mainly video stuff. I nearly bought the new Macbook Pro but I decided to clean my old one instead! These tools have helped me grow. I only invest in tools when I can and if they are going to help me. I’ve learned a lot this year. Some beliefs have been reinforced, while I’ve also explored other areas. In many cases, there are two contrasting fields of thought that you have to work out for yourself. For example, the topic of how hard to work on your business. Some say that you need to hustle harder. Others say that you should create a lifestyle business. I made a video on this here. Right now, it’s very hard for me to find the time and space to work more. Today is Monday and because my wife is sick, I’ve had to stay home this morning to look after my son (his school is closed). In total, I’ve only been able to work, on average, 25-hour weeks. I’d prefer to be in the 40-50 range. Having said that, I’m still obsessed with my goals. And my productivity rates have skyrocketed due to these time restrictions. I’ve also learned to think bigger and make things scary. What I mean by this is instead of doubling something, why not 10 times it? I’m going to talk about how this relates to my goals soon. But first, what about my goals from 2015? Okay, enough about that, what about the goals? I’ve managed to do this by expanding my audience and improving my sales processes. Once you have a course that works, there are two things you can do: increase conversions and increase awareness. I haven’t introduced many new courses this year. In fact, I’ve only added one (this will change next year). Although I didn’t double my sales, I’m pleased with these numbers. My artwork guy was/is amazing. I don’t use him that regularly but when I need something new, he’s the guy I go to. My copywriter did a great job with a sales page. But I won’t need her again until I create something new. The two teachers who helped me with material design were great too. But they couldn’t continue working with me. As you can see, my team isn’t quite there yet. To be honest, I’m okay with that. I’m going to look at this again in a few months. If my business grows the way I would like it to, I’d love to bring in someone full-time here in Asheville. But that’s something to look at in the future. This was another ambitious goal. And one that I did quite well on. (Note: I made a mistake with my calculations. I wanted to take total subscribers from 10,000 to 50,000. This is 400%, not 500% like I said in the video and in my last post). In fact, I think I almost made it. I say I think because I have deleted a bunch of people who unsubscribed/hadn’t opened an email for months. I started the year with 10,000 total subscribers. It’s now at 38,000. That’s a 280% increase. But it’s probably more like 320% if you include those who I deleted. My Facebook and YouTube reach have both gone up dramatically. Email is still my main focus. See here to learn why. And here for my email marketing guide. In addition to a new course for teachers – stay tuned! 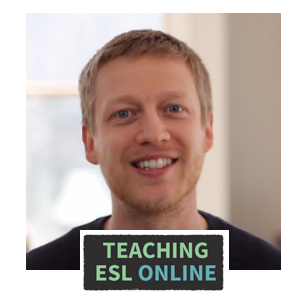 – I want to create a new product for English learners. I very nearly did this back in spring. But I decided to focus on the course that I already had. People love that course, but it’s not for everyone. 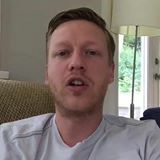 My goal is to – and I don’t want to give too much away right now – create a recurring monthly program for my learners by summer. I want to make this incredibly valuable while also making it manageable for me. I’m in the early stage of coming up with the action plan and will be testing one or two things over the next 4-5 weeks. This is a biggie. This is the one that made me nervous about publishing this post. This is the one that gets me most excited. I was going to make this 100,000. But I feel that’s quite attainable. Therefore, I’m really pushing myself here. I have to grow the channel by around 900%. Like with everything else I do, I’m going to research the best ways to do this and then look at how it’s all going to fit into my schedule. Let’s hope I come back at the end of the year with good news! The majority of my email subscribers are English learners. 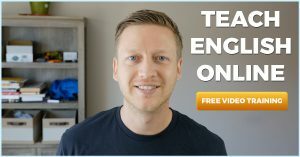 Don’t get me wrong, there are over 10,000 teachers who have subscribed to this blog. But in 2017, I want to expand my reach and help more online teachers/entrepreneurs. I’ve been running two brands for over three years now and love the balance of both. 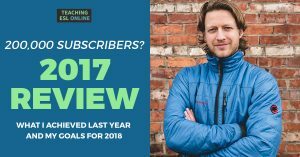 Having 50,000 subscribers to this blog will make a huge difference to my online business. I put on weight in 2016. Apparently, this happens in your thirties! However, my goal this year is to be in the best shape of my life. I’ve already started intermittent fasting and I have changed my diet. And in the past 10 days, I’ve lost 4-5 lbs without losing strength. Early days, I know. But I’m excited about this one. Oh, I’m also going to learn French too. Je suis…. again, early days. How was 2016 for you? Did you hit your goals? What did you learn? And what is your big goal for this year? 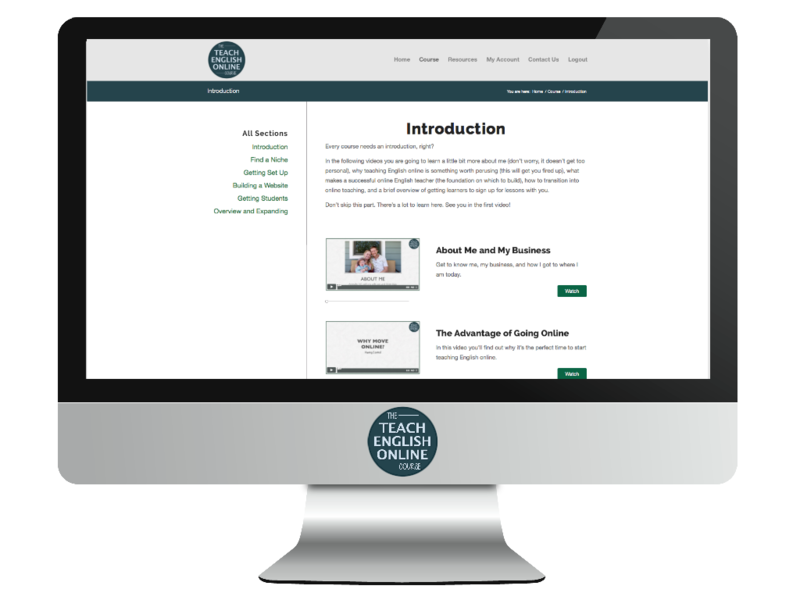 One last thing: if you’re looking to build an online teaching business, and want to be part of the number one course and community for teacherpreneurs, click here. The following was recorded live on my Facebook page. Enjoy! If you don’t have it already, get my free guide here. Thanks for watching. Let me know if you have any questions!